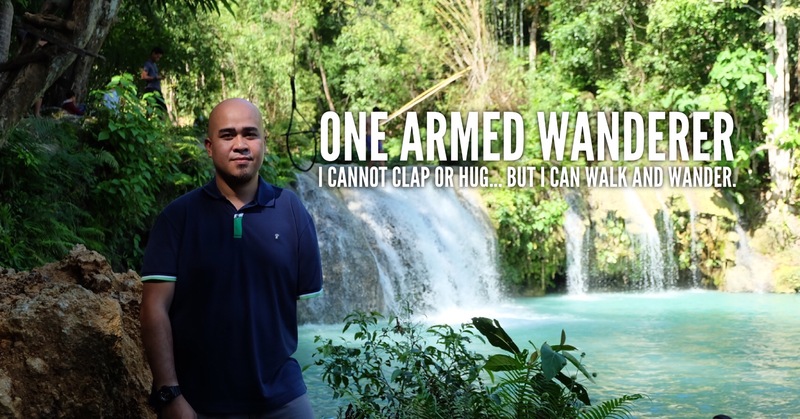 First on my list is Hudzan’s Cafe right in the center of Basco, Batanes. Located along Abad St., Batanes’ center of trade, Hudzan’s Cafe is just walking distance from various inns and accommodations in Basco proper. Hudzan’s Cafe is a small al fresco restaurant offering the best cuisine in Basco. They offer more affordable food compared to other restaurants in town. 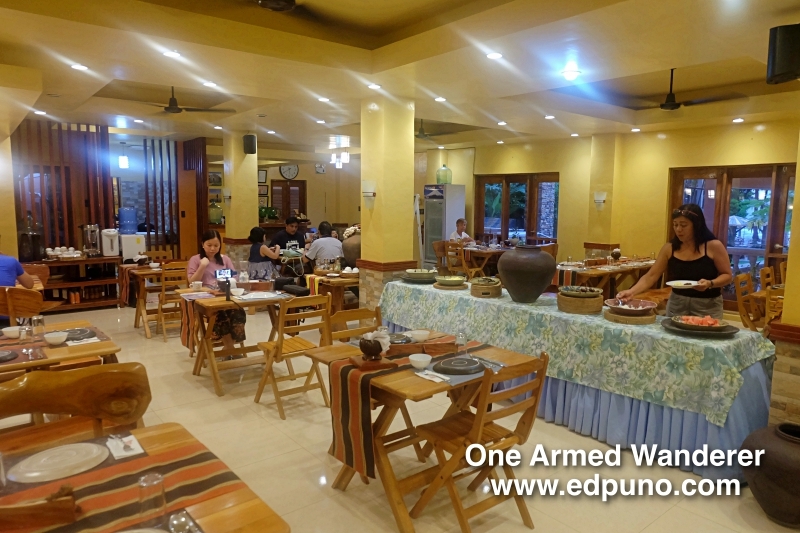 We tried this simple yet promising restaurant during our second night in Batanes. It was a surprise that Hudzan’s Cafe is jam-packed with guests. We ordered pork sisig (150 Php) and our favorite pancit canton (200 Php). We had to wait for almost an hour before our food were served. It was not an issue for us as it was an indicator that food at Hudzan’s are freshly cooked. And besides, there were too many guests for a small restaurant like Hudzan’s. 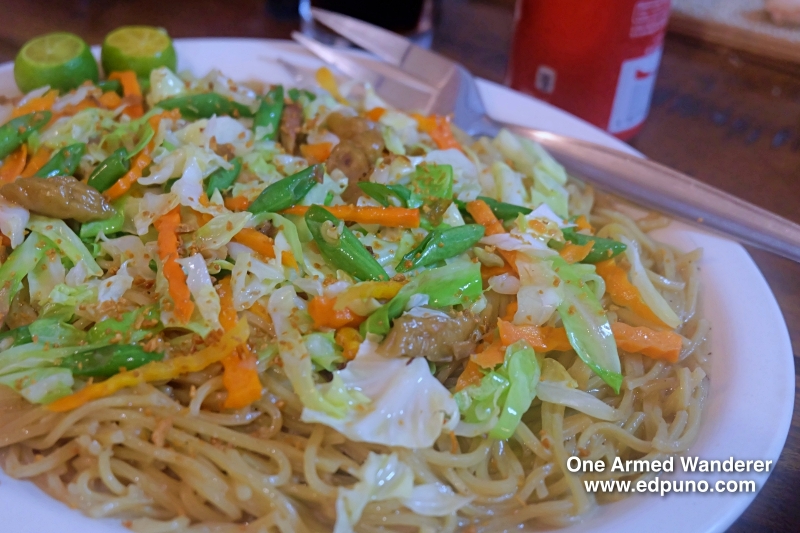 Jen and I loved Hudzan’s Cafe’s pancit canton! No exaggeration but their pancit canton is the best I’ve ever tasted! I couldn’t even compare it to Max’s restaurant’s which is also our favorite. At 200 Php, the serving is also generous and is good for 3 persons. Their sizzling sisig also did not disappoint. At 150 Php, serving is also generous and is actually good for 3 persons. We were grateful that our tour guide recommended Hudzan’s Cafe as we loved their food! It was worth the wait! Second on my list is Octagon Bed and Dine. This must visit Batanes restaurant is located along National road and is walking distance from Basco center. 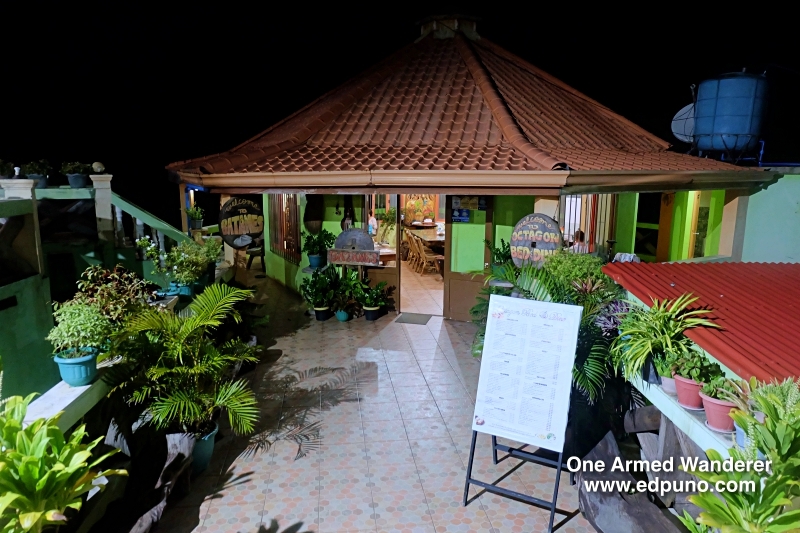 We visited Octagon Bed and Dine during our third night in Batanes. This al fresco restaurant offers overlooking of the Pacific ocean. You get to enjoy fresh air and soothing sea breeze while dining here. 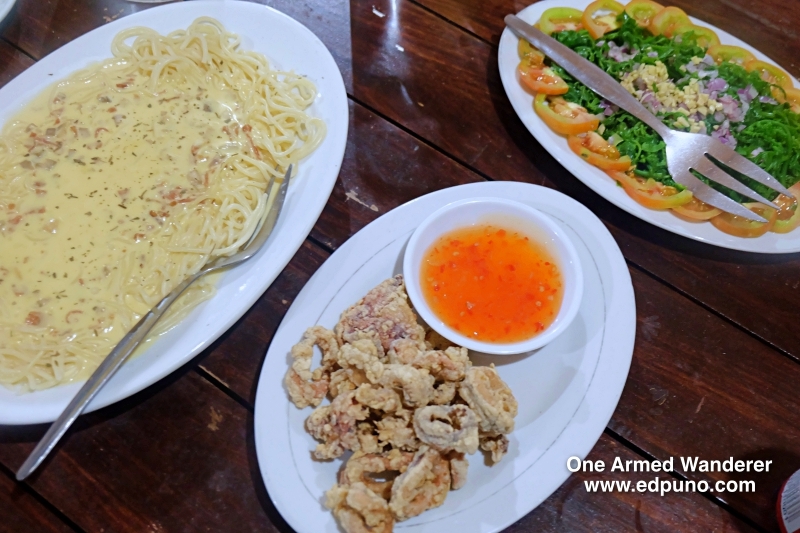 We ordered carbonara (220 Php), paco salad (200 Php) and calamares (300 Php). We loved their mouthwatering carbonara! The bacon bits were generously drizzled over the cheessy and creamy white sauce. The generous serving made us regret ordering more dishes. Nonetheless, their calamares and paco salad were also good! If there is a restaurant to try local Batanes dishes, Vunong Dinette at Jessica’s Place is the best restaurant to visit in Batanes. We visited this restaurant as part of the complimentary lunch courtesy of Bisumi Travel & Tours. Vunong Dinette at Jessica’s Place was the very first restaurant we have tried in Batanes as it was the fist stop of our day 1 tour in the province. I must admit that I am not a food adventurer and I rarely try new dishes during my travels. Since the lunch is free and is part of the itinerary, I had no choice but to try whatever is served to us. Surprising I enjoyed Ivatan food. 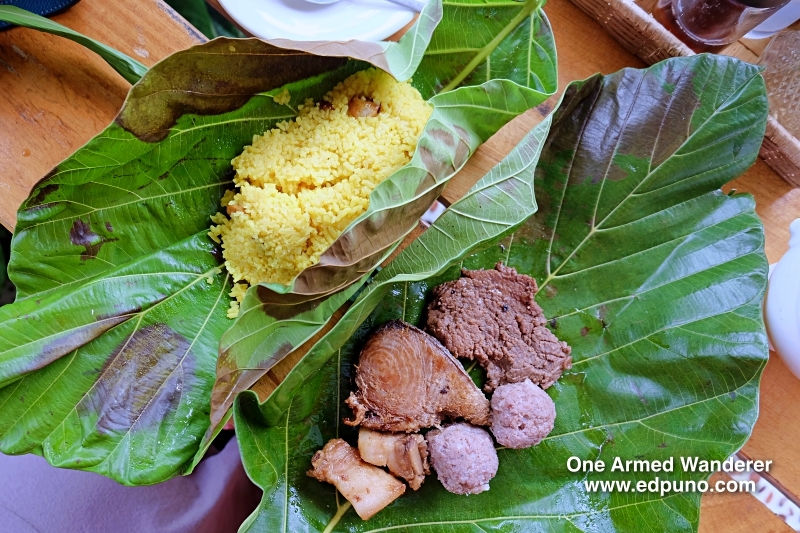 The soup was good along with the turmeric rice and main dish wrapped in leaves. For desert, they served paco salad with a yummy vinegrete-like sauce which Jen really loved. This high-end restaurant in Batanes is located in Baranggay Chanarian, Tukon, Batanes. You get to see the amazing and relaxing lush green views when dining at Cafe du Tukon. The views are spectacular and surreal. The high-end ambiance and feel inside Cafe du Tukon make it stand out among other restaurants in Batanes. Cafe du Tukon is Fundacion Pacita’s restaurant. We visited this beautiful food place during our day 1 tour in Batanes. Since it was merienda time, instead of going straight to Fundacion Pacita, we had a quick snack in Cafe du Tukon. We initially ordered the food we wanted but were unavailable. We ordered Grilled Cheese Panini (285 Php) and Rich Chocolate Cake (175 Php) . 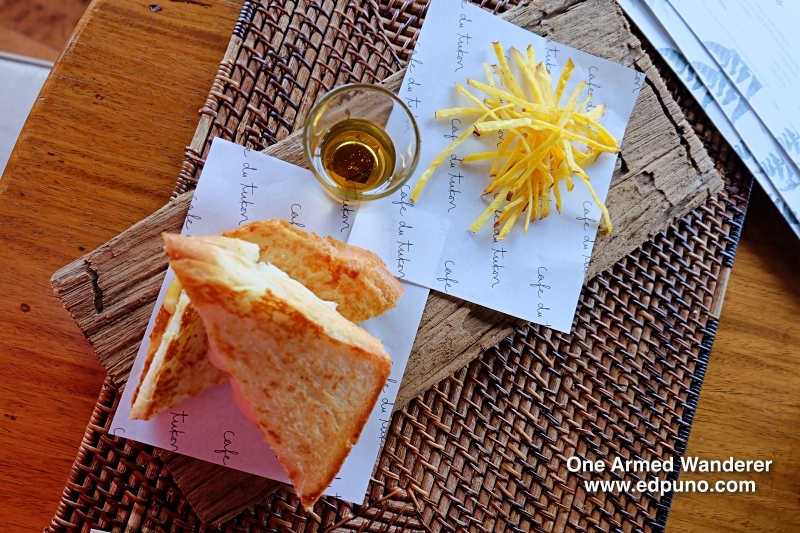 Grilled Cheese Paninini is a home baked pain au lait with cheddar cheese and mozarella cheese served with honey and wakay shoestring fries. I just find the serving a bit less for its price. Nonetheless, it was good. I will definitely return to Cafe du Tukon to try their pasta. Food on their menu maybe a bit pricey if you are a budget traveller but I tell you, dining in a restaurant with breathtaking views is one of a kind experience! Last on my list is Amboy’s Hometel’s breakfast. Apart from being one of Batanes’ best accommodations, Amboy’s Hometel has its very own restaurant offering various Filipino dishes. We stayed at Amboy’s Hometel during our 1st night in Batanes. I am including Amboy’s Hometel’s restaurant as we enjoyed their complimentary breakfast buffet. We were served rice, arroz caldo, eggplant, longganisa, egg, coffee and fruits. Here’s a video Amboy’s Hometel’s restaurant.